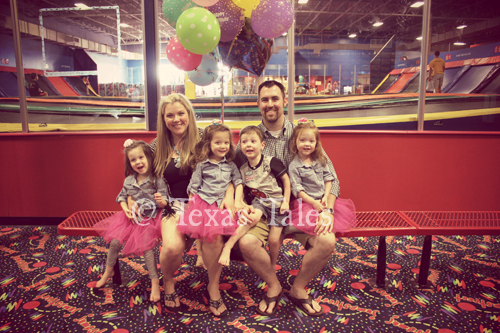 Texas Tales: The Quad Squad Turns 3 + Party Pics! 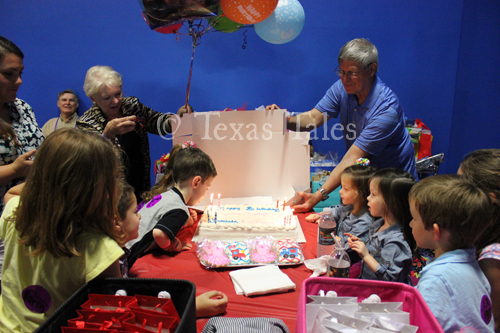 With each passing year, the kids become more and more aware of events and special occasions and love getting in on all the action. 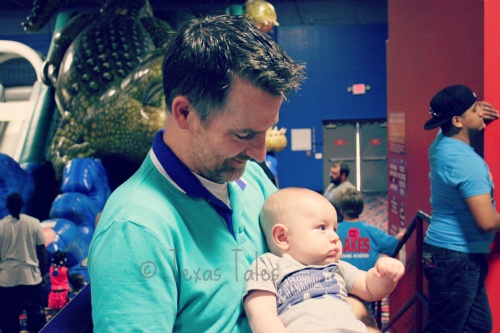 As parents, we enjoy explaining these things—be it how they turn another year old and get to celebrate, or that Christmas presents fill the space under the tree the night before—and watching their pure, unfettered excitement as they experience everything. 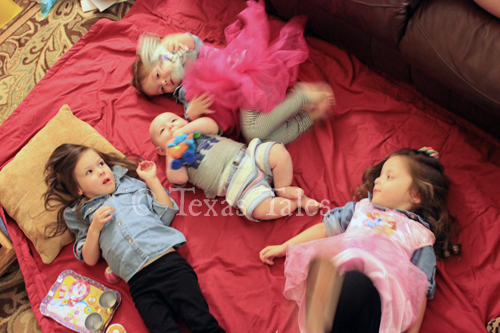 Birthdays are a huge occasion in our household with quadruplets, needless to say! 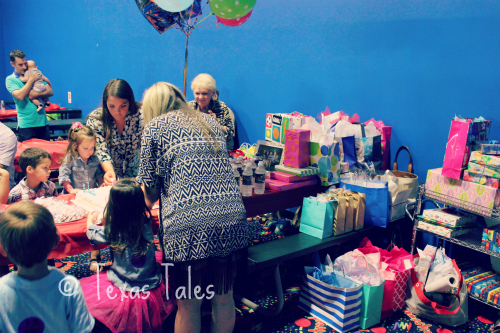 We try to throw a good party since we only have to do one fete a year even with four kiddos—something I kindly remind the husband of when I'm ordering party favors or custom cookies. Ha! 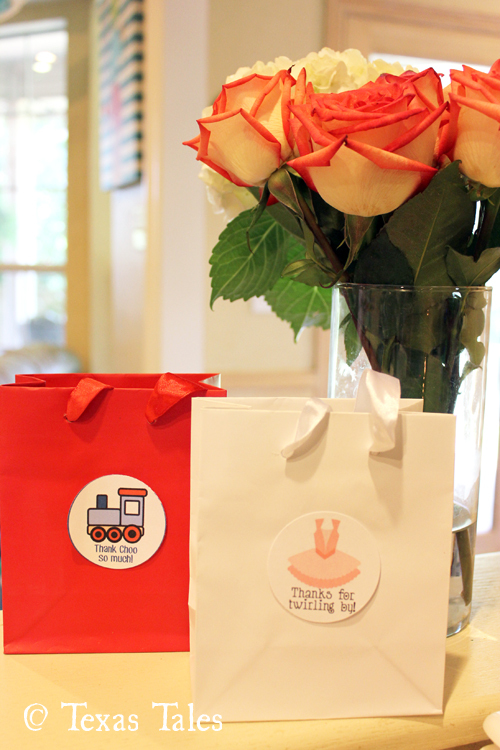 To kick off the festivities, I put together a cute but simple invite touting our choo choos and tutus theme. Below is a copy of the invite with generic info (don't need to share my cell phone number with the whole world! ), which actually now available in my Etsy shop here! I know it can be tricky planning a party for multiples, much less a party that accommodates both genders, so I've begun adding some printable invitations I've created for just such events in my shop like this adorable pirates and princesses design. 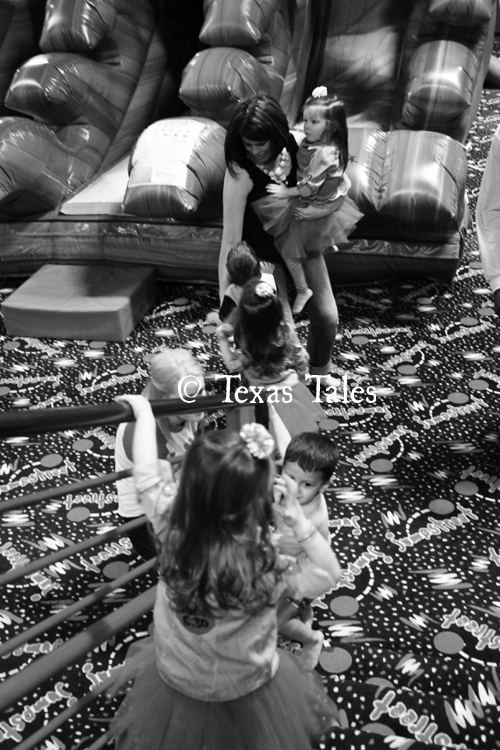 It was a fun party! 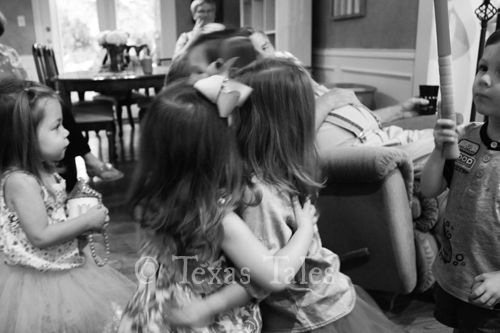 I'll let the photos speak mostly for themselves, but the kids loved seeing their friends arriving as well as many of the wonderful and truly special people in our lives that have loved my babies since the beginning. 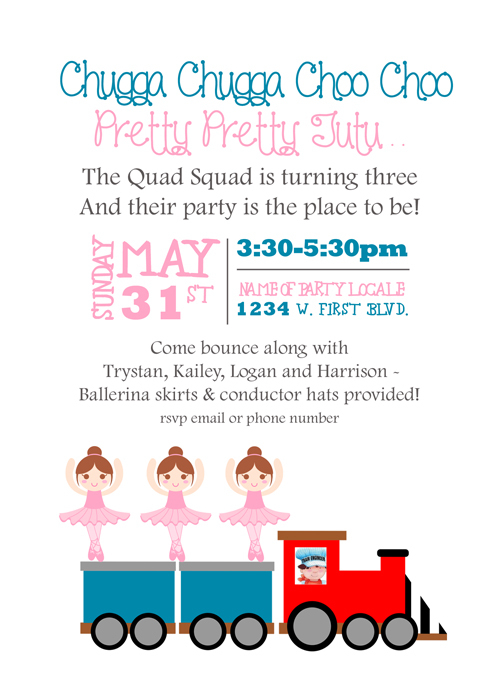 From grandparents to longtime family friends and newer acquaintances to our beloved babysitters and nanny, everyone made sure to drop by and celebrate the quad squad's birthday! 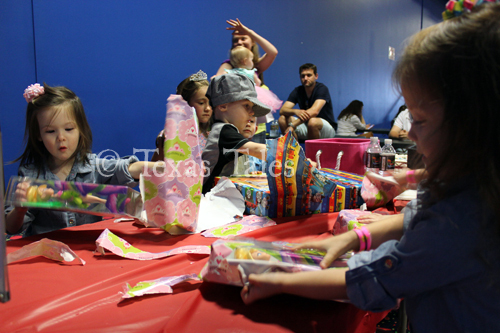 They also spoiled them with tons of gifts—I've never seen such a stack of presents! I always advise folks to bring something small for each kiddo or just a reasonable group gift, but I think everyone must've had fun shopping because there were so many fun goodies in each bag and box and the kids had a blast ripping open presents and taking in all their new toys, clothes and books. 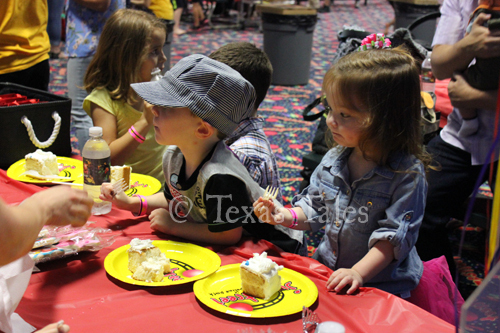 They loved everything and have had fun working their way through it all the past few weeks! 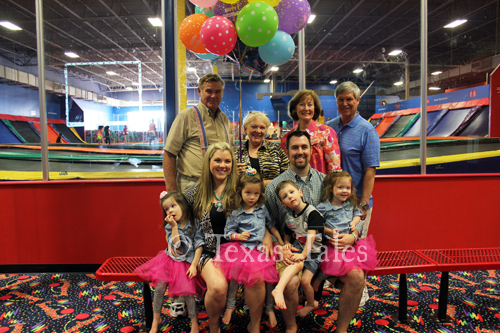 myself and the husband with our kiddos and their grandparents! 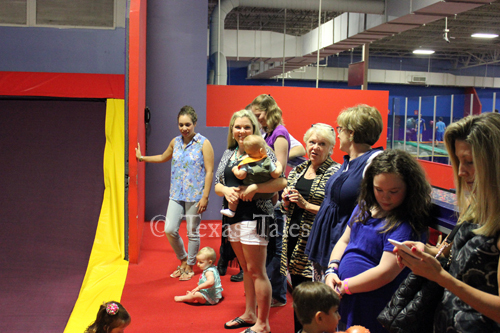 Everyone got their jump on, even some of the adorable babies that attended, and we all had fun watching the kids scream and laugh as they played together. The party ended with delicious cake (Costco never fails!) and the most perfectly decorated sugar cookies by Sugar Coma Cookies. My friend, Mary—a momma to triplets, who I've gushed about on the blog before!—makes the yummy treats and has blown up her business over the last year and a half. She has a true talent for baking and decorating cookies!! I order from her for nearly every special occasion we have, and it's now tradition to have Sugar Coma Cookies at the quad's birthday! 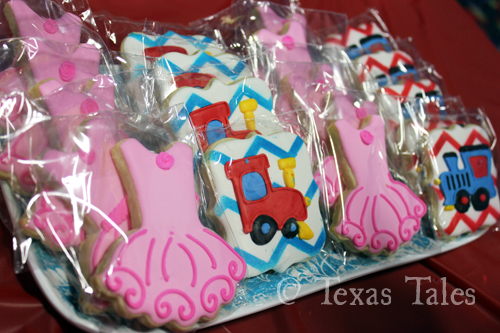 She designed the train and ballerina cookies based on their invitation, which I had sent her beforehand, and they turned out great! 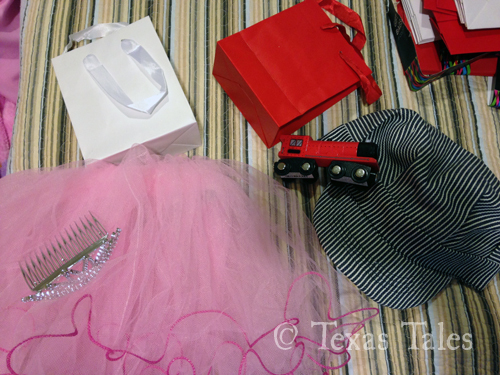 Since we had a smaller group of kids attending this year, I wanted to do some nicer favors and ended up choosing fluffy pink tutus (My Princess Party) and silver tiaras (Hobby Lobby) for the girls and wooden trains (Target) and conductor hats (Train Party) for the boys. I printed my own tags that I affixed to small gift bags and also included a coordinating cookie in each one as well. 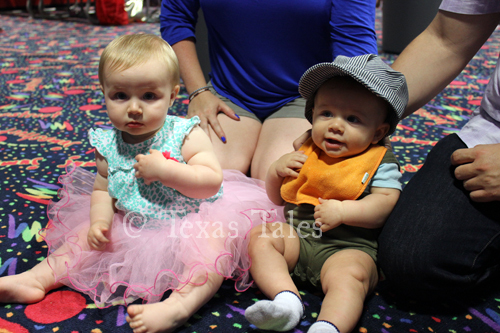 There were some pretty cute ballerinas and train conductors! 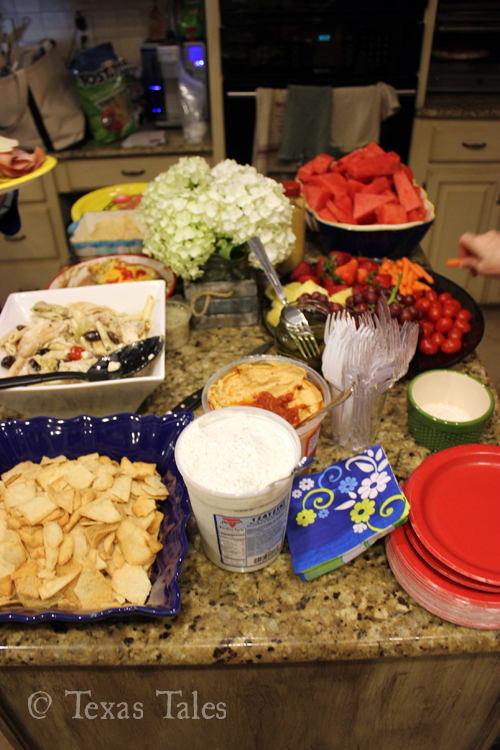 And because I am apparently not satisfied with a nice little two hour-long party at a venue that doesn't require me to do any setup or cleanup, I needed to host a whole group at our home afterward! In truth, though, the husband and I do enjoy a good party and we love having people over, so it was only natural we kept the celebration going well into the evening. We set out tons of food and opened a couple bottles of wine, and our quad buddies also made it for the after-party as well! 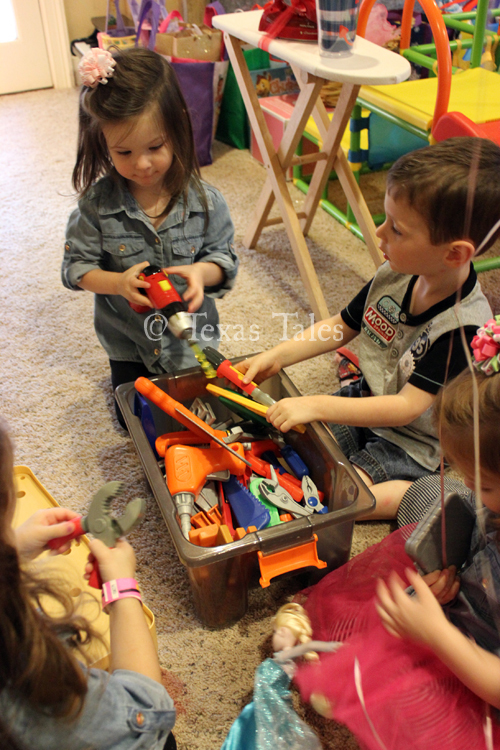 Which was perfect because there were more than enough new toys to go around and keep all eight of our kiddos occupied! 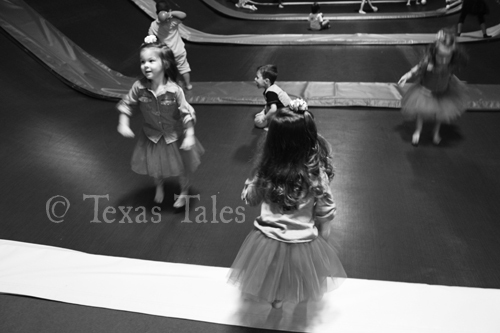 They stayed right up until the very end, donning their pajamas and evening brushing their teeth in the ball pit before they headed out. 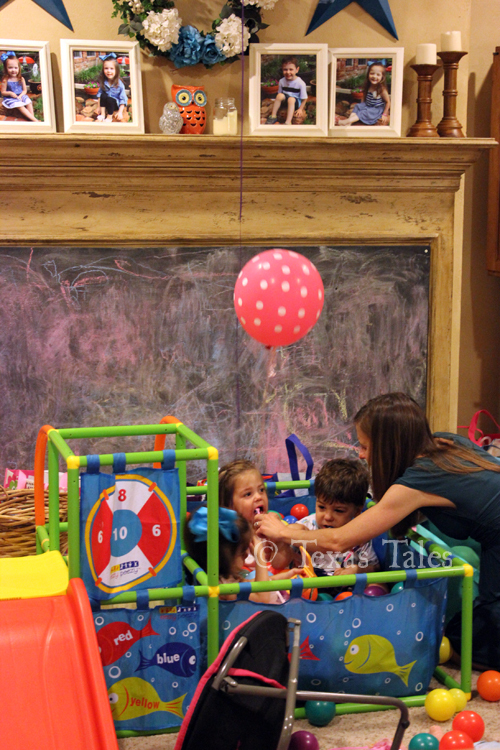 Mamas have to be creative sometimes, right!? All in all, it was an awesome day and we relished every part of it. We are so grateful for our healthy babies—who are now quick to remind you that they're big kids!—and also for all the family and friends who have supported us in our journey to quads and love them all like their own. Happy birthday, my beautiful babies! What a adorable party. 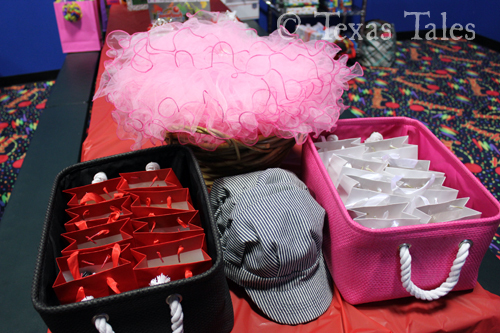 The invitations, the favors, sooo cute, and those cookies look yummy. Looks like an awesome party!!! 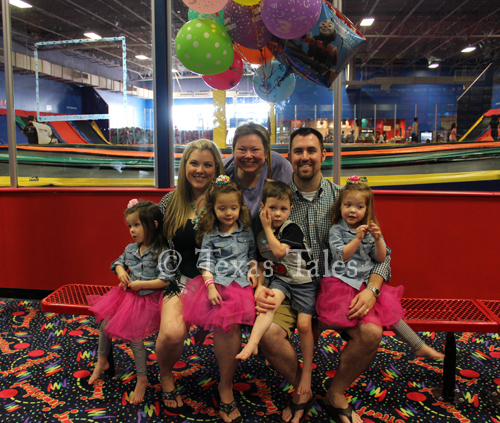 I think it is the same company trampoline park we loved in Colleyville. 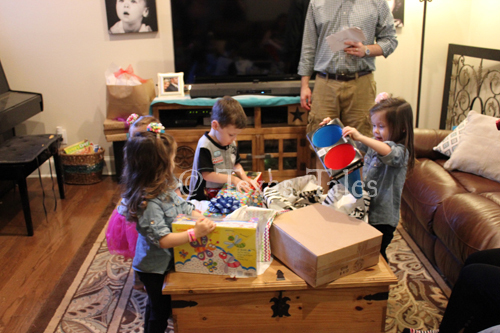 The invitations were adorable, I just told Harper she needed to use them for her 4th birthday. 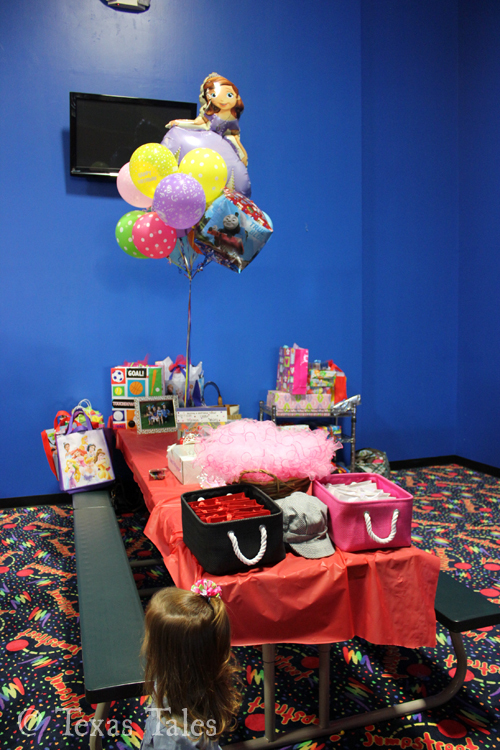 The party was precious! I'm sad we missed the official party, but so glad you had an after party we could hit. 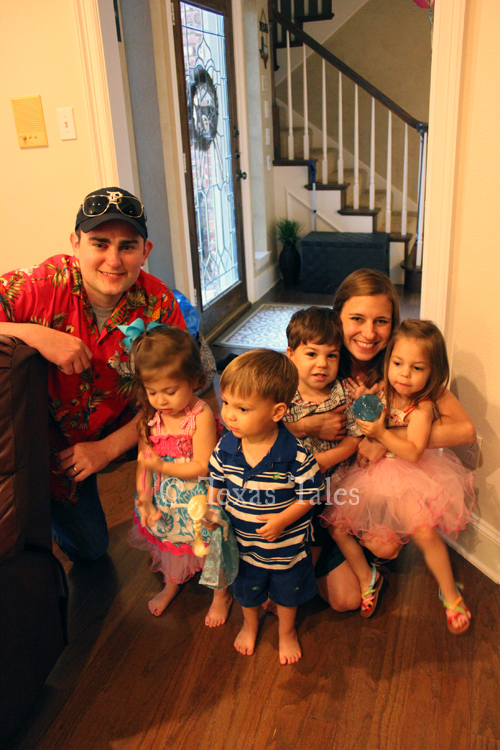 We love the Bell family! Our crew loves the favors. Cute Cute Cute Cute. Had to put 4. Love the invite and theme. Oh and the cookies. You are good. Thank goodness Pamela never wanted a themed party or she might have been disappointed. 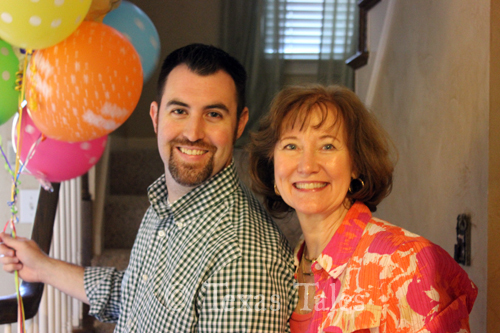 The picture of the family is great and that one of Mike and his mom turned out great.